Welcome to El Tour – Your Path. Your Story. 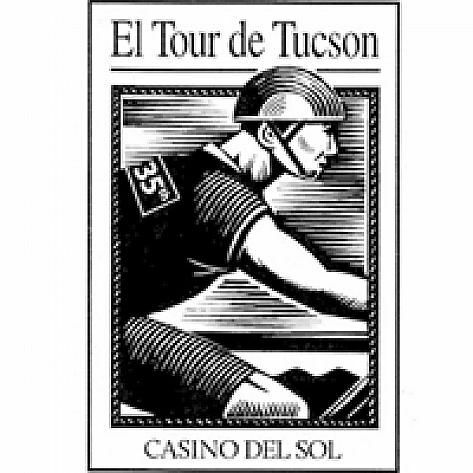 El Tour de Tucson is a bicycling event for cyclists of all ages and abilities who ride 106, 76, 54, 37 or 28 miles in the main event or 11, 5 or 1/4 miles in the Fun Ride or for minutes not miles in Indoor El Tour. Held annually the Saturday before Thanksgiving, El Tour is a fun adventure ride attracting over 9,000 cyclists of all ages and abilities from throughout the United States and worldwide, consisting of novice, intermediate, advanced, and professional cyclists. Main event routes feature vistas of Tucson’s beautiful four surrounding mountain ranges – three rise over 9,000 feet- against the backdrop of the majestic Saguaro cactus, icon of the Sonoran Desert. Course profiles range from flat to rolling or moderately hilly. The 40-mile route is mostly flat and has become a great family affair or a perfect first event for beginners! Two often dry but sandy river crossings will greet 104-mile riders, while 75-milers experience just one. All routes offer aid stations with water and snacks spaced about 7-10 miles apart, police support at intersections and plenty of morale-boosting volunteers and spectators. The Fun Ride offers easy and scenic routes along the Santa Cruz River multi-use path. The three shorter courses do not start in downtown Tuscon. There are free shuttles back to the remote starts after the event. The aid stations are staffed by volunteers offering bananas, oranges and water. Each will have port-o-pots. Some stations will serve raisins (or other fruit item), cookies and/or pretzels. The Aid Station volunteers may provide other food items. Approximately 125 trained Bike Patrol cyclists will be on the route in bright yellow jerseys or t-shirts. They help with mechanical problems, minor medical needs and encouragement. If you experience a problem on route just flag down a Bike Patrol member. Registration opens on January 15. El Tour’s primary beneficiary is Easter Seals. If you raise $200 or more in contributions you’ll earn an El Tour event poster and FREE ENTRY paid by Easter Seals! All you pay is the processing fee. Contributions are tax deductible as allowed by the IRS and can come from you, your friends, family, colleagues, etc. You don’t have to stop at $200 – the more you raise the more benefits you receive!